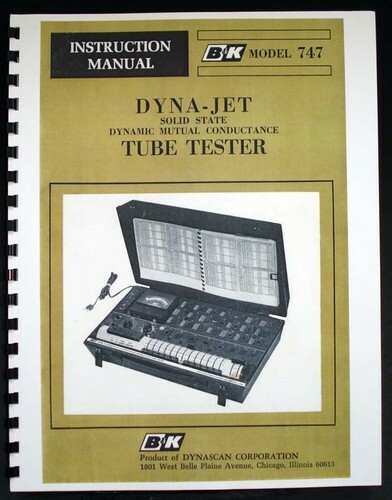 For sale is reprint of B&K Dyna-Jet 747 Solid-State Dynamic Mutual Conductance Tube Tester manual. 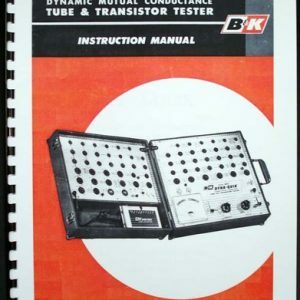 Manual is 32 pages long, Dated May 1971 and Includes 11×17″ Foldout of Circuit Diagram. Tube Data is 51 Pages long. 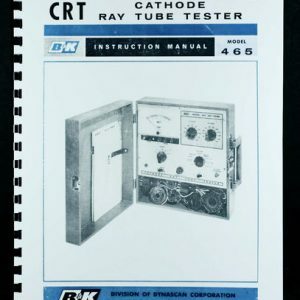 In addition there is 4 page American-European tube type Chart. 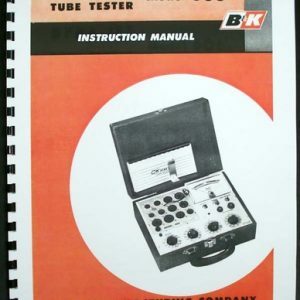 B&K 747 was the “Latest and Greatest” of B&K tube testers. Released in August 1971, 747 is all Solid-State. 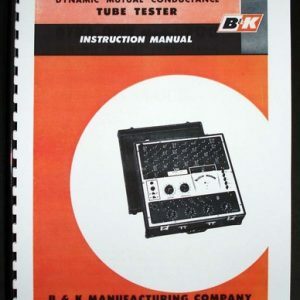 Manual includes Calibration Procedure.